This week is my first ever book signing. It is at Mary Ryans in Milton (Brisbane) from 11am on this Saturday November 28th. Get yourself down there. I’ll be practising the art of my signature and short written one-liners all day today. Getting a book out and about in the world is quite an adventure. Having just done a massive mail-out to all the ex-subscribers of my ex-website, and having delivered all the clues of bookshops I know around this country to my publisher I now feel like a fisherman who has cast his line and now gets to wait – whilst telling tall stories to whoever will listen. All the details about how to buy the book, wherever you are around the globe, are below in this blog. I am intrigued by the relationship of Astrology to the place of No-mind, Zen, Dhyan, Witnessing, whatever you want to call it, that is at the very heart of my quest. Astrology is a description of the wheel and how to navigate it. Witnessing is the hub. Astrology only works for me when it is an aid to resting at the centre of the wheel. It seems that there is a way to use astrology so that it becomes a working description of the nature of the wheel, an opportunity to make peace with one’s foibles, and hence have an easy passage to the miracle of centering. Without the wheel there would be no sense of what the centre could be. Without the centre, the wheel wouldn’t exist. To define a genuinely holistic version of the stars in this lifetime seems to be one of my tasks. Finally I really feel like taking it on. Then there is of course also the band….. I just got back from playing with Lion Island in the Grand Finals of the Tooheys Uncharted competition. 2,000 bands entered and we made it to the last three. That’s pretty damn amazing. I am glad we didn’t win. I could see a potential pact with the devil looming there. We did however have a great time playing at The Annandale Hotel using fantastic equipment, in front of a bunch of music industry personages. It is always so much fun to play. Definitely one of our best gigs. There is a recording of it in existence. Who knows it might make it into circulation. I’ve only heard little bits but it sounded pretty good. We travelled well. Airports and taxi transfers and hotel rooms and lots of luggage and eight fellow lions to yabber on to at all hours of the day and night in the big smoke of Sydney. If this becomes a lifestyle it could become a source of much writing. Lord knows what it will do to my stars. It’s not all glory that’s for sure. Fun nevertheless. And what a blast to get to play this wild and wonderful music in a great band in my pre-dotage years. We are playing three gigs in three days this weekend if you happen to be in Brisvegas. Friday night supporting The Gin Club at The Zoo (We’re on at 8.50), Saturday Night at The Troubadour, not sure what time we are on (Check out The Troubadour website) and at 3.30pm on Sunday afternoon in the park behind the Ithaca swimming pool in Paddington (Opposite Suncorp Stadium). Be there. You can also buy it directly from the Boolarong Press website. http://www.boolarongpress.com.au It can be shipped anywhere in Australia, NZ or the rest of the world. 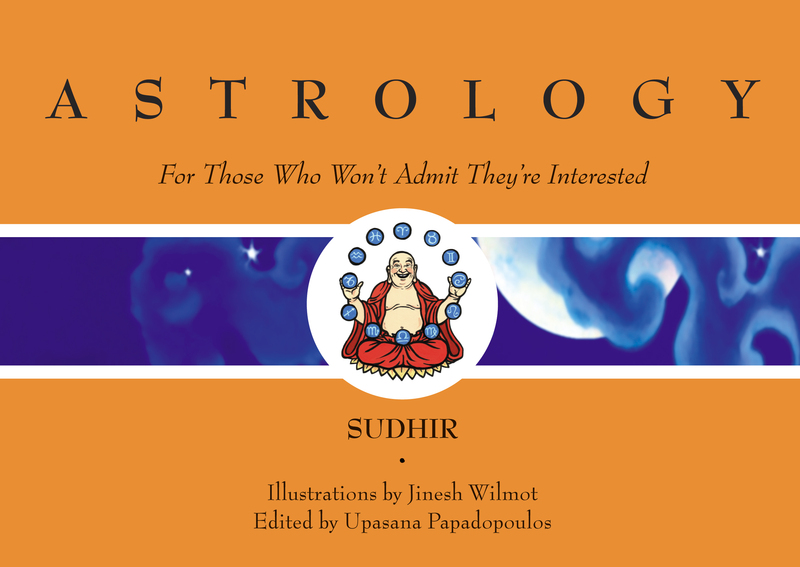 My Book “ASTROLOGY For Those Who Won’t Admit They’re Interested” is now out. It is very beautiful. I am proud of it and of all the people who have contributed to it. Boolarong Press here in Brisbane have done a wonderful job. It really has come out as the perfect gift. All the guff about how to get it, if it hasn’t found it’s way into your local bookshop as yet, is here below. It seems some bookshops are being a bit precious about ordering from a small publisher – so if you have any problems let me, or Boolarong Press know. By following up on every story we get to make a bond with the bookshop that generally more than solves the problem. You can also buy it directly from the Boolarong Press website. www.boolarongpress.com.au It can be shipped anywhere in Australia, NZ or the rest of the world. You can also buy it directly from me. My e-mail address is below. My book is finally out and about and available for sale all around the known universe. It has come out beautifully. Boolarong Press have done a wonderful publishing and print job. I hope whoever reads this and many many more, give themselves a lovely treat and go and get one. The recommended retail price is $19.95 AUS which is very reasonable. It is very pretty. Written by yours truly, edited by Upasana Papadopoulos, beautifully illustrated by my good friend Jinesh and gorgeously designed by Naomi Clarkson, it is all I could have ever dreamed it would be. Pretty – with bite. I’m a happy camper. Now go get it in your Christmas Hamper ASAP! 2. Buy it direct from www.boolarongpress.com.au This one works globally. 3. If all else fails you can buy it from me. My e-mail address is below. Also – I am available for sessions, to run workshops and give talks. Lion Island is to be found on Bandcamp.com and at Myspace. My songs are up at Bandcamp.com, itunes and more. All the links are here on the homepage. I just read an e-mail from my publisher telling me that my book is ready. Yee Harr!!!! I will get to see it for the first time on Monday. It has been years getting to this point. What an amazing feeling it will be to finally hold it in my hands. Then comes the interesting bit where it gets to find it’s way and place in the world at large. A new curve in the journey of learning the ways of the world. As soon as I have all the details I will post them here on this site. For the rest it has been a very full few days. Three gigs with Lion Island. One in Brisbane on Thursday night supporting Luluc, one in Toowoomba supporting Luluc – and one this arvo at a big outdoor market. Luluc are fantastic. Soft gorgeous warm harmonies that demand presence and listening. Check them out. And lovely people. A delight to share a bill with. Warm and friendly like their music. May they have a great time in the USA. It was good to hire a van and go on our first road trip. A two hour drive up the mountain. Op shopping. Wide streets. Friendly punters. The occasional hoon. Lots of space. There’s something about driving west that opens my heart. Spaciousness is what I recognise as this land – and what I forget most in the big smoke. Best go and tune my banjo now. I am available for sessions, to run workshops and give talks. My songs are up at Bandcamp.com, itunes and more. Lion Island is to be found on Bandcamp too and at Myspace. All the links are here on the homepage.